13/10/2017 - A technical assistance visit was held in Lima, Peru from 11-13 October 2017 to assist Peru in the preparation for its next review on exchange of information on request (EOI). The team of this technical assistance visit comprised Ms. Ana Rodriguez-Calderon, Tax Policy Analyst from the Global Forum Secretariat and Ms. Renata Fontana, Consultant for the World Bank Group. Meetings were held with the National Superintendence of Customs and Tax Administration (SUNAT), Ministry of Finance, Ministry of Justice, National Superintendence of Public Registries (SUNARP), Superintendence of Banking and Insurance (SBS), Superintendence of Securities (SMV), Financial Intelligence Unit. Technical visit in Lima, Peru. 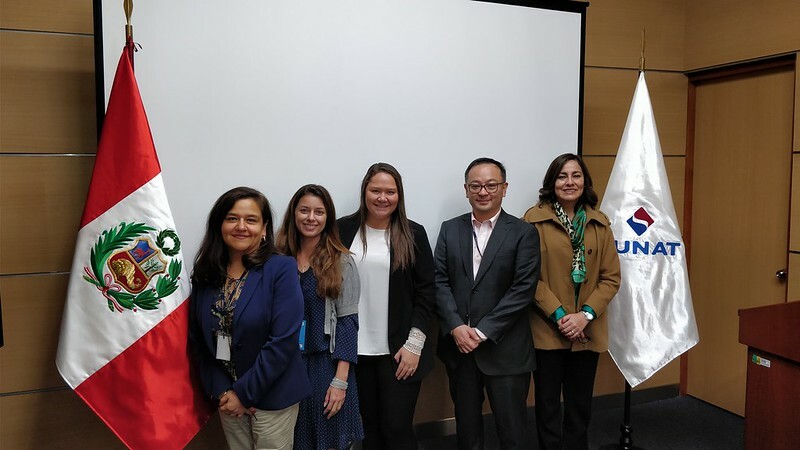 The visit was very useful as it gave the opportunity to the Global Forum to provide a preliminary analysis of Peru’s EOI practices and processes in advance of their peer review. The preliminary findings were discussed with Mr. Víctor Paul Shiguiyama, National Superintendent and Claudia Suarez, Deputy Superintendent for Taxation of SUNAT during the closing session. Peru’s peer review is scheduled to launched in the third quarter of 2018.